Battery was fine, but the delivery service was appalling. STOP USING YODEL!!!! Fast delivery and great price . Excellent product, fast delivery, good price. Cheap battery but it was a real surprise. It performs really well. Nice professional packaging too. Well recommended. Exceptional battery at a great price. Fired up the motorcycle first attempt and has been performing ever since purchasing. Would recommend this battery over the more expensive ones. 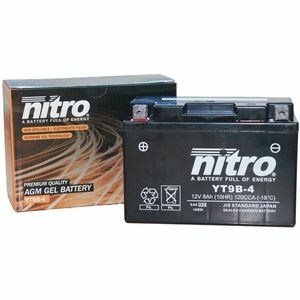 This battery fits a Yamaha 2003-2006 YZF R6 exactly and is a perfect replacement for a fraction of the price of either OEM or most other after market items.